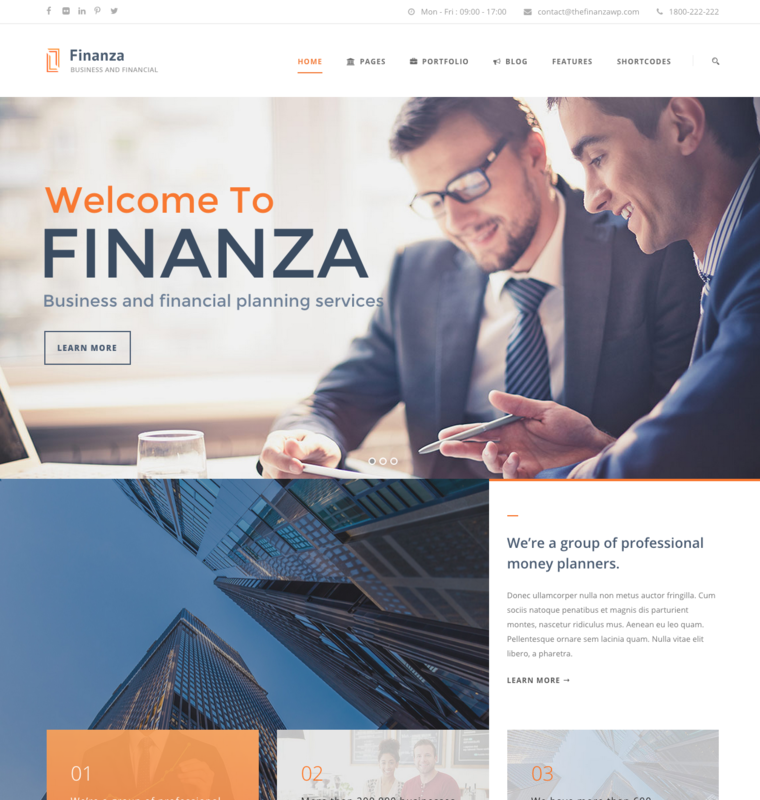 Finanza is a clean responsive WordPress theme. It is especially designed forBusiness, Financial Advisor, Accountant, Law Firm, Wealth Advisor, Investment and general corporate website. This theme comes with super powerful page builder which allow you to create your site using drag drop ability. 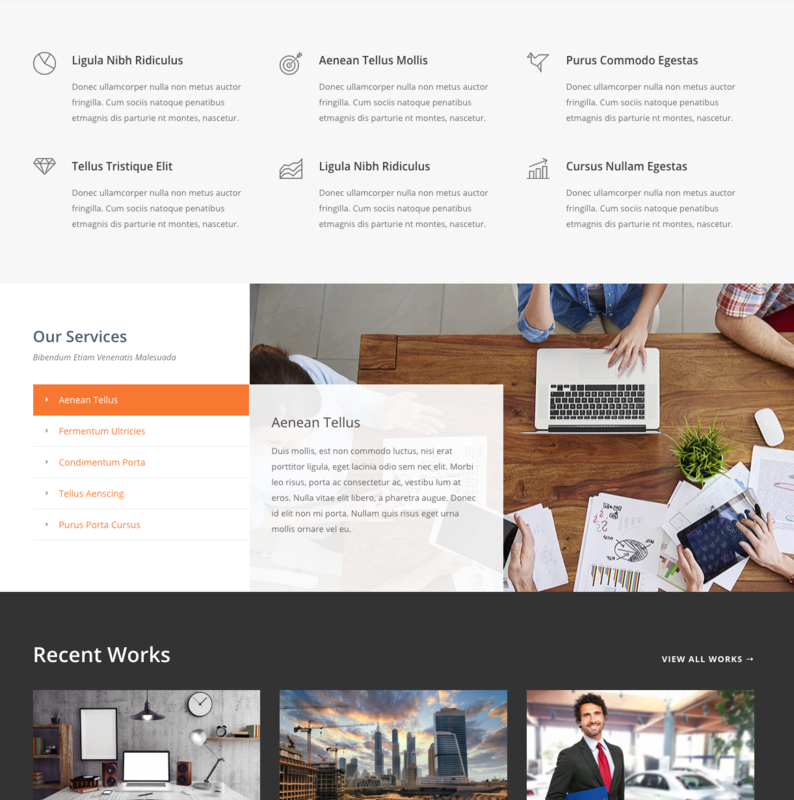 It comes with necessary feature for your website such as blog, portfolio, testimonial, personnel, etc. You can also create parallax section in pages easily via our page builder. This theme is also compatible with the most popular ecommerce plugin ‘WooCommerce’ and also compatible with WPML.